RVing is exploding as both a family-oriented activity and a way of life for couples or even single individuals who want to travel and see everything this great country of ours has to offer. When shopping for a new RV, there are lots of choices! For example, there are different types, classes and manufacturers of recreational vehicles to choose from. So many, in fact, that it can easily lead to a sense of confusion when it comes to trying to determine which RV will best fulfill your needs. Following are some questions you’ll want to ask yourself, along with a list of the pro’s and con’s for each of the different styles of recreational vehicles on the market today. This will definitely be helpful if you’re in the market for a new or used RV…. 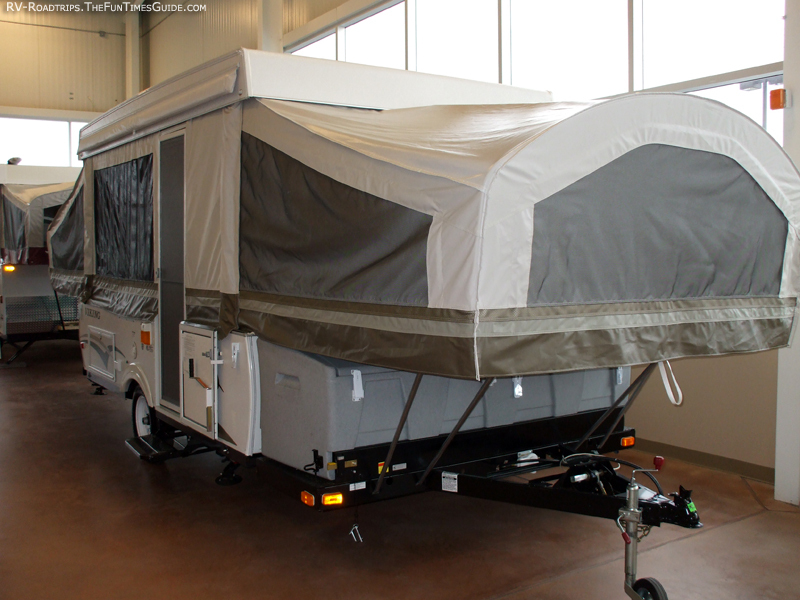 Basically, the 2 main types of RVs are: travel trailers and motorhomes. Do you like the idea of not towing a trailer? Do you like being able to move about and keep everyone comfortable for the long haul? If you answered yes to either of these questions, then you’ll probably like a motorhome. Motorhomes are great, but their cost is dramatically higher. On the other hand, RV trailers are quite a bit cheaper, and the only running gear they require are tires and wheel bearings. Sure, it takes a bit of skill to master maneuvering a trailer in reverse, but it’s not that hard. With prices starting as low as $2,000 to 3,000 for a bare bones Teardrop Trailer, and going all the way up to many millions of dollars for a top-of-the-line motorcoach, your choice of RV is really only limited by your pocketbook. This is one industry where there truly is something to fit every financial level. 2. Where Are You Planning To Go? Do you plan on being a highway cruiser? Or is the backwoods wilderness your primary destination? 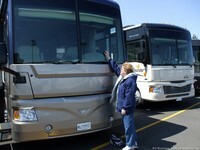 The luxury of a large Class A motorhome is well-suited for long distance driving and high class resorts. 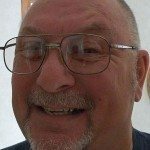 But when it comes to driving on abandoned logging roads and exploring that great fishing spot way out in the boonies, chances are you’ll be making expensive repairs if you dare to take a Class A motorhome out there. A motorhome’s bulky size and massive weight just isn’t suited for off-pavement conditions. 3. How Many People Will Be Sleeping On Board? Will you be traveling as a large family? Or is it just you and your spouse? Many RVs are designed for large families, with bunk house sleeping accommodations and even multiple dinette tables for your meals. Large comfortable motorhomes, while able to manage 4 to 6 people at a time, are generally more popular with couples who occasionally bring the kids or grandkids along. Beyond the queen-sized bed in the rear, they are limited to a fold-out sofa and collapsible dinette for extra sleeping quarters. There are so many different styles of RVs to consider. Let’s take a look at some of the pluses and minuses of each. Probably the least expensive, with small and cozy (tight) accommodations for 1 to 2 people maximum. Very lightweight and able to be towed by almost any vehicle. Better than a tent, because it offers improved protection from the elements and requires no setup. Small towing package that — when set up — provides comfortable sleeping for the whole family. Complete with kitchen inside. The main disadvantage is that it takes a reasonable amount of time to construct. Not something you want to do in the rain, or on a nightly basis while traveling. Best suited for a week at a campground where there are other activities to enjoy. Again… a small towing package, but it can be set up in less than a minute. 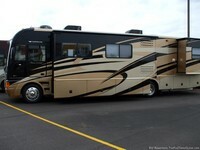 Able to handle 2 to 4 people, this RV can work quite well for frequent traveling since it folds up quickly. Ranging from 12 feet to 40 feet in length, travel trailers can manage any number of people. You can get a small fiberglass bubble that can fit 2 people, or a long 2-bedroom ranch house on wheels with all the amenities you could think of to keep a family of 8 happily occupied. Be aware, long travel trailers don’t handle all that well on the highway. Smaller 5th wheel trailers can be pulled by half-ton trucks. Larger ones will require at least a 1-ton dually to handle the weight. The one characteristic common to all fifth wheel trailers is how well they tow. With the pivot point being over the rear axle, you will be stable on the road no matter how large an RV you choose. 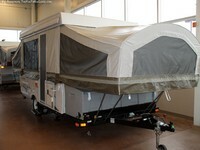 These are very popular with full timer RVers because of the interior space, combined with their easy towing. Basement storage can be a nice bonus. With the basic cargo van as its foundation, a Class B motorhome can manage 1or 2 people in relative comfort. It’s great for driving because of its manageable size. Some are very complete in providing the comforts of life. These can be a useful 2nd family car, and still be ready to hit the road in comfort. Also has a cargo van front end. These motorhomes can handle a family in style. There’s easy access to the driver’s seat, and the over-the-cab area provides a large sleeping area. Ranging in length from about 21 feet to over 30 feet, some will have a rear bedroom with a queen-sized bed. Combined with the collapsing dinette, you’ll have sleeping space for at least 6. These usually range from 25 feet to 40 feet and they’re great for travelers. Whether it’s being used for full time RVing, or as a vacation vessel, comfort is the key word here. The view from the cockpit is incomparable — seated up high, you will see over the traffic easily, and all across the countryside too. Ranging in price from $100,000 and up, you pay for this level of comfort. As with all others in the motorhome class of recreational vehicles, you have a drivetrain that must be maintained and used on a regular basis in order to keep it in good running condition. This is the top of the heap. If you can afford one of these, you have truly arrived. With prices exceeding $1,000,000, this level of luxury is limited for the elite traveler. High fashion and stylish living comes with the territory. This isn’t the kind of RV you’ll use to pull into an Army Corp. of Engineers rustic campground. With all of these choices, you certainly have a lot to consider. Picking the right RV for your family is an important financial decision that will require you to spend a lot of time comparing the different manufacturers, sizes, and styles. Choose wisely. And enjoy. There’s an RV to fit everyone’s situation. Have fun finding the right one for you! Thanks to Bullyan’s RV for the photos.